The Wildgame Innovations Halo XRT is a laser rangefinder that ranks very high on the affordability scale, but all too often this means that something was sacrificed in order to achieve the lower price. Whether it is lower durability or missing features there is usually a hidden cost to a lower price tag. 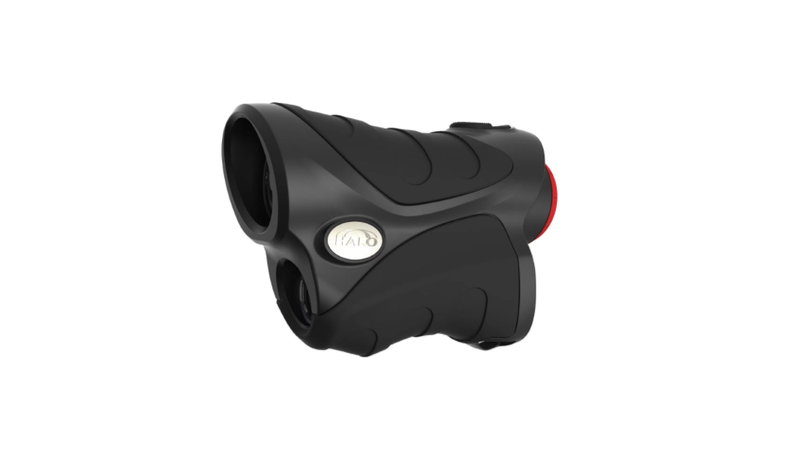 However, it is also possible to get a great deal without any compromises and depending on what your needs are when it comes to laser rangefinders, the Wildgame Innovations Halo XRT has plenty to offer. I was eager to put this rangefinder to the test in order to find out if it can deliver on all its promises, so read on to see what I was able to uncover. Weighing in at just under 11 ounces, the Halo XRT is not the lightest rangefinder I have ever tested, but it is still light enough to avoid causing fatigue when you are on the go. It features a compact design which makes it easy to hold and operate using only one hand and is relatively comfortable to operate. I particularly liked the non-slip rubber grip panels which makes it easy to handle the rangefinder even in wet conditions. Often cheaper rangefinders will feel cheap as well when it comes to the materials, but the Halo XRT feels very sturdy. Since you have to adjust the focus of this rangefinder by rotating the ocular it is a two-handed operation which might be inconvenient to anyone using it for hunting. When operating the buttons it can be easy to accidently press the one that switches the measurement units when taking a reading, so it is important to pay attention. The Halo XRT is water resistant which is not always a given when it comes to cheaper rangefinders, but unless absolutely necessary I would recommend keeping it dry. The Halo XRT is able to perform accurate measurements up until about 500 yards, although for deer sized wildlife you are looking at a distance closer to 250 yards which is still very respectable considering the price. It has a “Scan Mode” which allows you to measure the range on a selection of targets without having to activate the laser for each one. The LCD display unit shows a reticule, the range to your target as well as a low battery icon, so you know when it is time for some fresh batteries. Of course, the unit of measure can be switched between meters and yards depending on your preference. The optics are decent enough for the price and can function even in adverse conditions thanks to the anti-fog coating that has been applied to the eye lens. 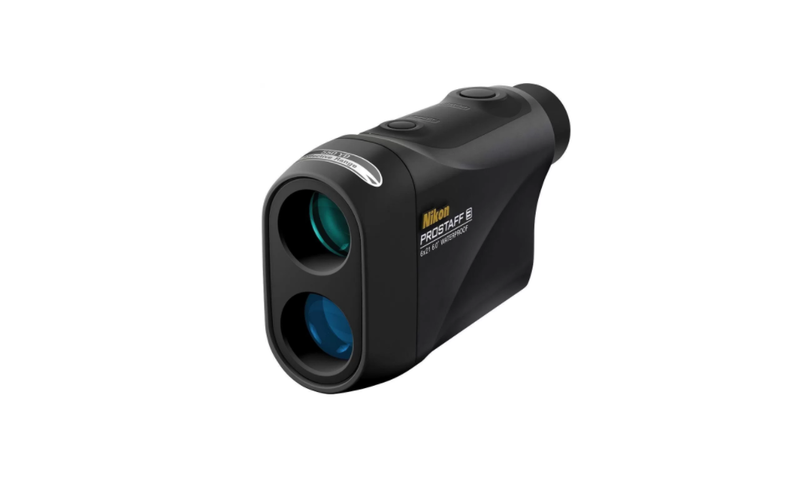 The 6x optical magnification is also great for the price. My only complaint would be that there is no illumination for the reticule and range numbers which can make it tricky to see in low light conditions. This rangefinder uses the CR-2 Lithium battery type which is a bit harder to find than regular batteries, but it does provide a decent lifespan. The Halo XRT also has a very useful power saving function which prevents the battery from draining if you forget to switch it off by automatically powering down after 20 seconds with no activity. Rounding out the package is a carry case, lanyard and lens cloth. The carry case is made from nylon, so it is quite durable, however I did detect an aroma from it out of the bag. If you want to make sure that you remain undetected by wildlife when out hunting it is probably best to use a different case or wait for the “factory fresh” odor on the included one to fade. Considering the low price tag and lesser known brand name there was bound to be a few cons for the Halo XRT, but I have to admit that it fared much better than what I was expecting. It has a lot of features that I liked and only a couple of drawbacks which you can check out below. Whether or not the Wildgame Innovations Halo XRT is the right laser rangefinder for you is going to depend on your needs and budget. 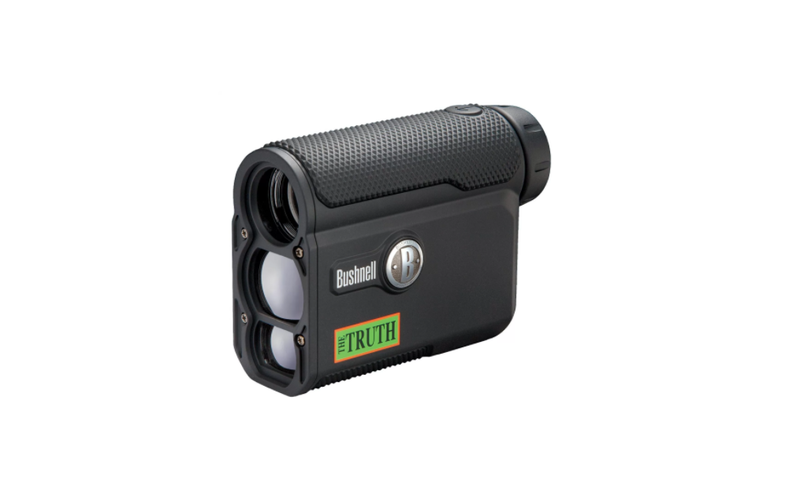 It is possible to find rangefinders out there that can beat it in every area, but you will have to shell out a lot more cash than what this one will set you back. If you can live without features such as automatic zoom, illuminated displays and slope measurement then you will get plenty of value for your money with the Halo XRT. 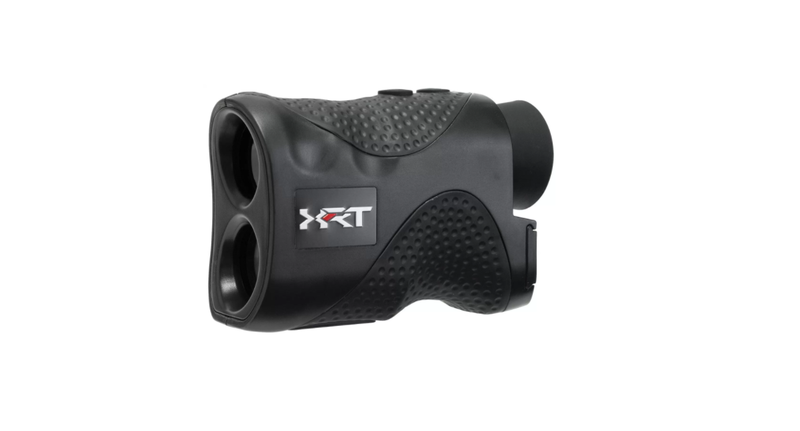 While aimed primarily at bow and rifle hunters the Halo XRT also performs fairly well on the golf course. Overall the Wildgame Innovations Halo XRT is a nice entry level rangefinder that should be sufficient for anyone looking to buy their first rangefinder or who has a tight budget.